I am so excited about Lydali, a new online lifestyle store that sells a unique and beautiful selection of products made by artisans around the world, in and effort to support small businesses and creative entrepreneurs. 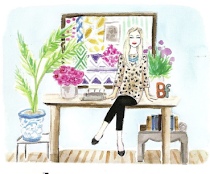 I love every single item in the shop, especially the two pieces be given away to two lucky delight by design readers! The first is a Proud Mary (which you may have noticed from my last post -I love, love, love!) 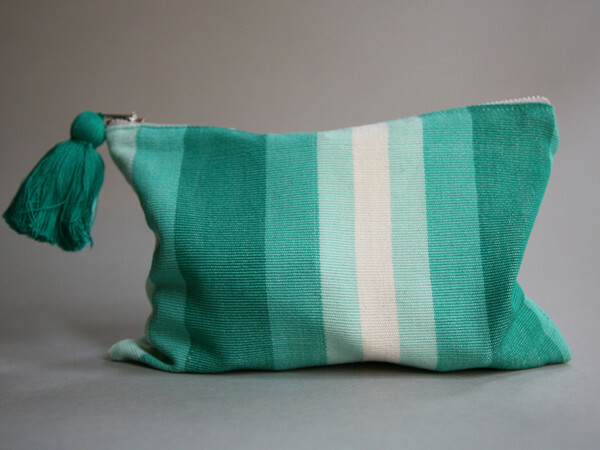 striped clutch that is 100% cotton and hand woven and sewn by artisans in Guatemala. The second item is this stunning set of wood and leather bangles, Handcrafted in Northern India and made out of locally sourced wood wrapped with gold and silver leather pieces. All you have to do to enter is visit the Lydali pinterest page, re-pin your favorite image or pin your favorite product from their online store (believe me, you will want to repin them all) and leave your e-mail address by commenting on this post. The deadline for this amazing giveaway is 8 PM CT on Sunday June 1st! love the bangles! Great find Blair! So so gorgeous! I re-pinned a stunning rug runner from africa! So hard to choose so I repinned a few things including the bangles above. But I would love the zig zag pouch from proud mary and the Elsabet tube necklaces. I pinned the Peace Cord Parachute bracelet. So many beautiful things! I pinned the bag made from recycled coffee bags. So in love. And that clutch is adorable. My favorite color! Such neat stuff! I would love to win the zig zag clutch! I pinned those bangles! They're gorgeous! I love the bag. It is adorable! Great website...good to know , thanks! What a great shop & giveaway! 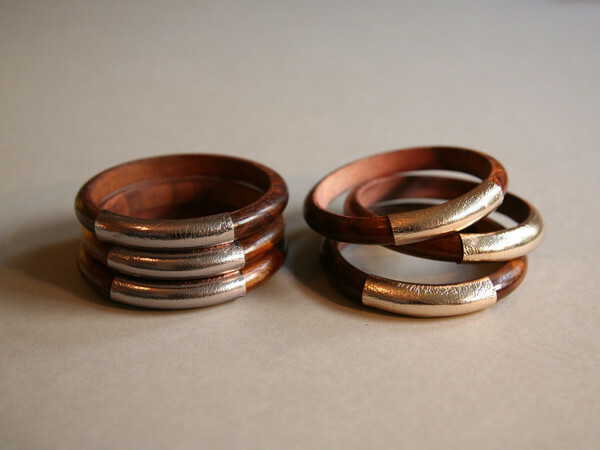 I loved everything from the Lydali site, but ended up pinning those gorgeous wood & leather bangles. Thanks for hosting this giveaway & introducing me to a great new shop! I love the clutch...and the purpose behing the store! Thank you for the giveaway. I love that ProudMary striped clutch! Hope to win... I recommend your blog in my blog: www.boogiewdesign.blogspot.com. You were right, I loved everything I saw! I agree...the clutch is adorable, also my fav! The tassel makes it! I pinned the BLUE AGATE DRUSY RING! It's awesome! LOVE! Very nice selection of products and an admirable mission. Love their store and pinned their items. Ohh! What an amazing giveaway! I will for sure be pinning that clutch! Thank you for introducing me to this shop! pinned, thanks for the givaway. Oh my how fabulous of a give-a-way is this! Love, love, love the bangles! I pinned several and became a follower! love love love this bag!!!! lovely giveaway. That clutch is perfect for summer! holy cow, so many beauties! love the grey chevron pillow...and everything else, natch. I love social entrepreneurship! I repinned those beautiful bracelets!